Tissa Devendra, in concluding a review of my recent book Sigiriya Paintings (2009), stated in conclusion, "I hope that, at last, we may find a scholar with guts to refute Dr. Raja de Silva on Sigiriya" (The Island 9.9.09). My attention has been drawn to an amazing article by KNO Dharmadasa, a Professor of Sinhala, who has behaved like a stranger in paradise (in this case the rarefied atmosphere of art criticism) and written on a subject titled "The Untenability of the Tara Theory", sub-titled "Being Blind to the Graffiti of Sigiriya" (The Island 17 & 21 April 2010, as well as on the web). In both these titles he has played fast and loose with the truth, as will be shown below. Firstly, I have ploughed through the verbiage of the long article, but, I have failed to find a word of deconstruction of my thesis that the paintings depict Tara, the Buddhist goddess, A student possessed of the merest acquaintance with the principles of art criticism, including the interpretation of the meaning of a work of art, would know that a previous theory should first be deconstructed before introducing one's own interpretation. Another simple principle of art interpretation is that the subject of a painting is to be elucidated from the painting itself, not from what any person other than the painter had written concerning them. All this is lost on KNO, who has misused the word untenability. He does not read the paintings, he reads Paranavitana (1956) on the graffiti. The fundamental departure from previous scholarly interpretations is that KNO's effort (true to his linguistic leanings) is a rigmarole that considers late literary remains in a foredoomed effort to extract therefrom the meaning of the paintings done several centuries earlier. Secondly, let us look at the sub-title, which is calculated to induce a credulous reader to believe at the outset that I have not considered the gravity of Sigiriya graffiti. This is far from the truth. I have discussed the relevance of the graffiti, and shown that they reflect only what visitors of a much later period thought while at Sigiriya (Sigiriya and its Significance 2002, pp. 38, 39, 40; Sigiriya Paintings 2009, pp. 65, 66, 67). I stated that "The subject of the paintings could well have been forgotten many centuries after they were done, when the general public wrote their comments on the gallery wall". It is on the subject of the graffiti (irrelevant to the elucidation of meaning of the paintings) that KNO has displayed either (a) shaky knowledge of the English language or (b)	evidence of neglect of his homework, or both; and this deficiency has led him	to use harsh words in attributing a base motive to me, thereby assailing my intellectual integrity. Let me explain. KNO is "sad to note that an attempt is made to hoodwink the unsuspecting readers" by my	stating (The Island (3.3.2010) that the "graffiti have been largely	dated to a period 300 – 700 years later than the paintings (emphasis	added)". He goes on to indulge in the non sequitur nit-picking	exercise of a statistical analysis of the distribution of the graffiti in	different centuries, and states "in fact the time range is something like 250 - 350 years after the time of Kassapa (emphasis added)". Kassapa is generally dated to the period AC 479 – 497, i.e., the fifth century. I have, for good reason, dated the paintings to "sometime after the beginning of the sixth century AC" (Sigiriya Paintings 2009, p.146). Therefore, the period 300 – 700 years later than the paintings would mean the 9th - 13th centuries AC. Since the word largely means chiefly, generally, it follows that I intended to convey that there are some graffiti datable to a period before as well as after the 9th and 13th centuries. This is a fact that is lost on KNO, for he appears to have misunderstood the plain English used in my statement referred to. His reading on the graffiti has been restricted to Paranavitana's magnum opus, which was confined to those belonging to the 8th, 9th, and 10th	centuries, as given in its sub-title. KNO should know that there are published graffiti earlier than the 9th century and later than the 13th century, to which I have given the reference in my book Sigiriya and its Significance (2002, p.38). He should read that publication and be edified. It is seen that (in denigrating me) KNO has committed a papa-karma derived from his avidya; he has also ventured into the strange subject of art interpretation using tools appropriate only to his own discipline, with disastrous results: this is how KNO has utilized the graffiti in his endeavour to show the "untenability of the Tara theory"
Numerous graffiti (no matter their late date) mention the paintings. Therefore the paintings are not of Tara. Verily, a simplistic deconstruction by which KNO betrays an almost majestic incomprehension of logical thinking, particularly about the character of art criticism. In the interests of furthering knowledge, I hope someone better equipped than KNO will appear on the scholarly scene to deconstruct my Tara theory, as hoped for by Tissa Devendra. Vidyajyothi Raja de Silva, B.Sc. (Cey), B.Sc. (Lond. ), D.Phil (Oxf), has been a member of the statutory Archaeological Advisory Committee since his retirement as Archaeological Commissioner in 1979. A specialist graduate in Chemistry from the Universities of Ceylon and London, he was appointed to the Archaeological Department in 1949, and became the first scientist in its cadre. After training for two years in the Archaeological Survey of India, he was in charge of the new service for the conservation of cultural property and research in material culture. In 1962, he obtained his post-graduate qualification in the University of Oxford after research­ing in the technical aspects of art-history. After eighteen years as Assistant Commissioner of Archaeology, he was appointed Archaeological Commissioner in 1967. From 1979 to 1986, he was Advisor to the Archaeological Department in the Conservation of cultural property. He is the author of many academic publications, and the official guide books to Sigiriya and Polonnaruwa. 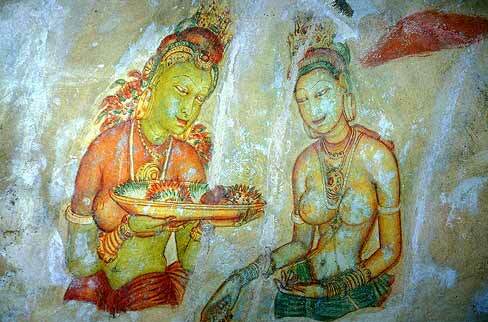 "Sigiriya: Who are these maidens and what is their message?"